Celtic Connexions : Specials this week! This week we're bringing you special prices on a range of our pewter hip flasks and sporran flasks. Jump over to the website to check them out. This one is a great example of the celtic cross. I really like this one. Is there anything tartan can't make better? 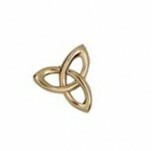 And lastly this one has some fine celtic knotwork. We also had a stall down at the Frankton market last Saturday and will be there every week from now on. Come down and say hi! This is very educational content and written well for a change. It’s nice to see that some people still understand how to write it.